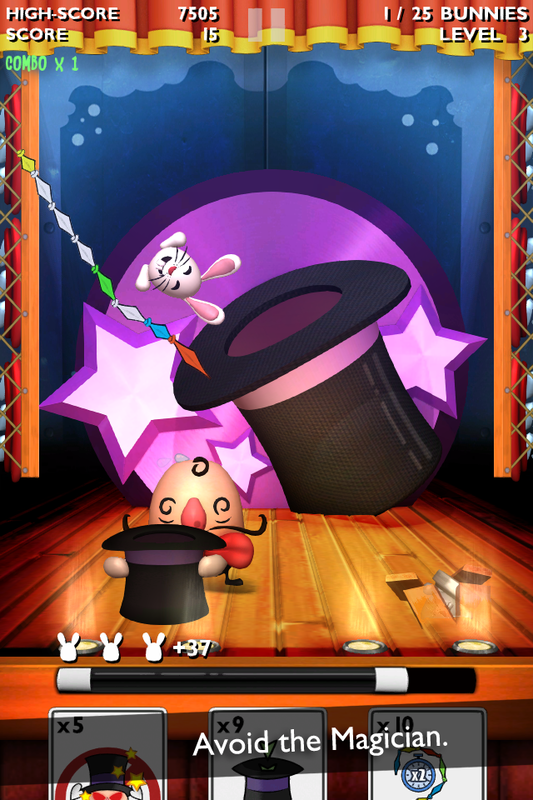 These funny bunnies are tired of doing tricks for their tough magician just to obtain a measly handful of pellets. Bunnies love fresh veggies and dream of escaping to the countryside. 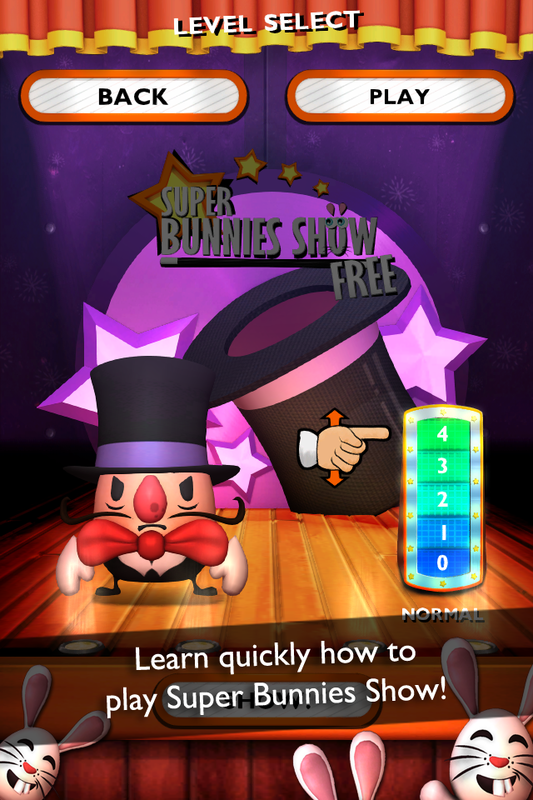 Luckily, now they can count on you to help them run away from the magician's top hat. 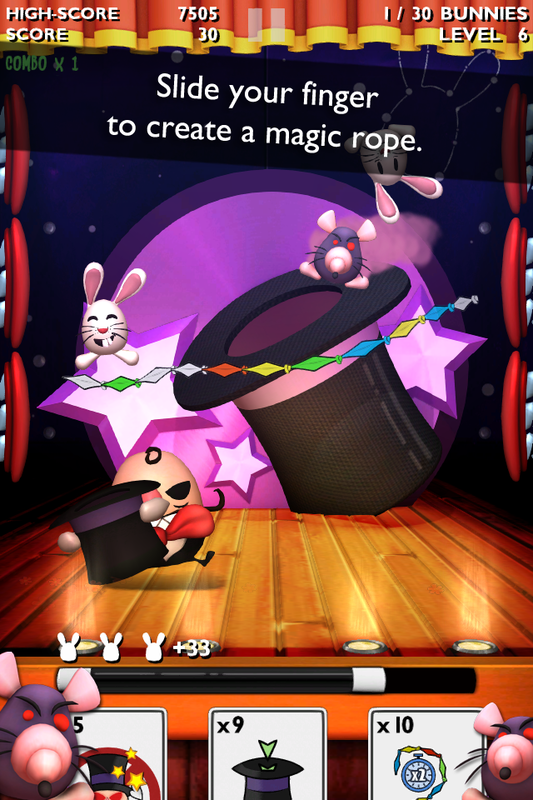 iFanzine says: "Super Bunnies Show may appeal to kids with its simple game mechanics and cute graphics." 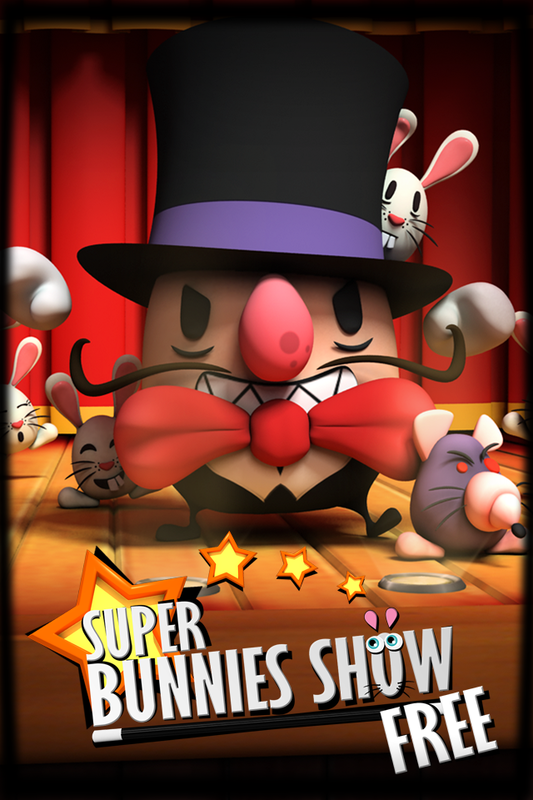 Please download the FULL version for unlimited and extra funny bunny gameplay experience without any ads!